State Representative Dan Brady will serve as a leading voice in the House Republican Caucus this year and next. Brady (R-Normal) today was appointed Deputy House Republican Leader for the new 100th General Assembly by House Republican Leader Jim Durkin. Representative Brady has served as Caucus Chair and as Assistant Republican Leader in previous General Assemblies. In the recently completed 99th General Assembly, Representative Brady worked with leaders in the House and Senate, agency heads, the Governor and other stakeholders to draft comprehensive procurement reforms to reduce spending and potentially save taxpayers millions of dollars, and with other members representing universities to offer realistic Higher Education funding proposals. He also spearheaded a new state law (P.A. 99-0542) that requires Health Organizations, including HMOs operating in Illinois, remain financially able to meet members’ needs. 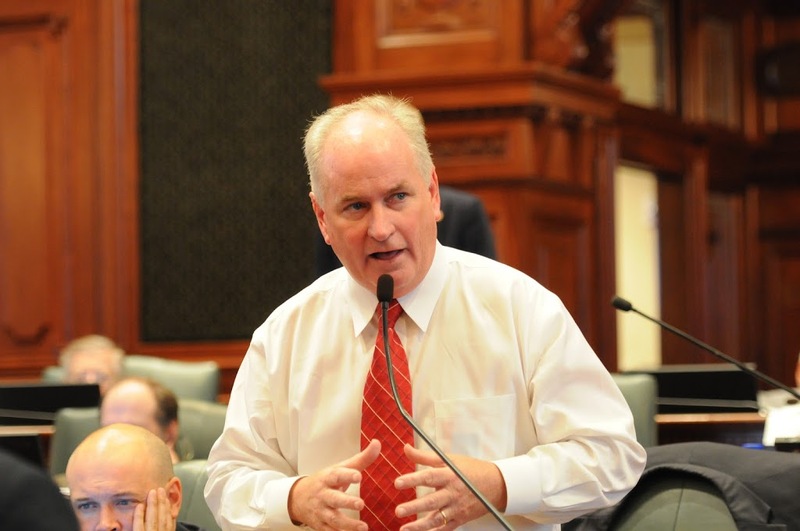 State Representative Dan Brady is a Republican from Bloomington and represents the 105th District in central Illinois, which includes Normal, portions of East Bloomington, Carlock, Towanda, Lexington, Hudson, Gridley, Chenoa, Cooksville, Colfax, and Anchor. The Eastern boundary of the district stretches over to Fairbury, Forrest and Strawn in Livingston County. During his years of service, Rep. Brady has received recognition for his efforts to build a stronger community from state and local groups. Rep. Brady and his wife Teri have two children, Danielle and Tom. They reside in Bloomington.